As you may have already read before, this blog is based on the spread of knowledge. This is its primary and most important function. We have posted on many topics about knowledge and its acquisition, this is no different but with an important difference, now we want to look at the importance and search for knowledge. Many people ask us about which group is the best, confused with the claims of many of groups that theirs is the best group on the right path. And that all others are astray. This claim is really confusing for many Muslims who have either just come into Islam or those who are beginning their journey. The first revelation was إقرأ which can be translated as "Recite or read" this is in the imperative or command tone. In other words, you do not have an option, you have to read. This is the first word of the last revealed book and it is not for naught that this word was revealed first. Through this word came the Quran. All the knowledge of Islam began at this point. What else were you going to do with a divine book but read it! All the knowledge of the known universe began to find its place in the world from this one command. From this one command we benefit, daily as our lives would not be the same without it. Any group who calls to itself, the group, then you must know that there is an immediate problem as they should be calling to the religion not their group. You will now know that they are not calling to the Islam, rather they are trying to increase their membership. Then you must investigate whether they are basing their call on knowledge or something else. If they are basing their group on anything other than knowledge then know that there is something not quite right. As it does not matter how many hospitals that the group builds, the most important point is are they building teachers or scholars. I am not talking about the kind that you could call a "evening" or "weekend" teacher in other words someone who knows one subject and can teach that. I am talking about a teacher who can teach a myriad of different subjects, that's the kind of teacher that interests us. All groups are calling to light but for many it's like calling to a lamp that is not plugged in, switched on or working. They are calling to the same thing but in their different ways and some are better than others! There are some things that you must bear in mind when studying with a scholar in the West. Is the person who you are studying possess a chain of transmission back to the source of knowledge? If not then they are the same as those calling to knowledge without being plugged in. 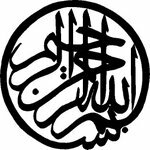 Sunni Islam is defined as someone belonging to one of the four schools of jurisprudance, Hanafi, Shafi, Maliki and Hanbali. Then belonging to one of the following schools of doctrine: Ashari, Maturdi or Athari. The final school of doctrine has very few followers in our time. This definition is for the scholars and not the average person. Any school other than the ones mentioned is outside the scope of Sunni Islam. Using the above description you can find which groups are truthful. Many have slogans which sound amazing but when you actually go into the nitty gritty of the group you can find it to be illogical. Some are worse than others and others are better than some. The basics are how to pray, fast, recite the Quran, basic doctrine and any knowledge that pertains to your situation or what's called 'Ilm Al-Hal. So if you are involved in buying and selling then you should study that so you know what you can do and what you cannot. You can get most of these knowledges from deen intensives which are a good taste for anyone wanting to study. Although it may take more than one full course to understand the basics. It is a real problem that people have to learn the basics later on in life and not early on in life as it should be. Why? We did not learn the basics until later in life because it was simply not available to us. What to do with knowledge once it has been acquired? The most important thing that knowledge must show you is guidance and then once you have the knowledge does it becomes necessary to follow up on it. The stages of knowledge are three: one learning, two practicing and three teaching. They are in order of implementation, so bear that in mind. To act upon knowledge takes time, energy, effort and is not always easy. It can take several weeks or even months to work on a part of practice until you have got it correctly. It is worth the effort so keep trying, forty days is normally the time when you are able to secure yourself that trait or action that you seek to rectify. In the UK you may have to take your knowledge from more than one teacher. What I mean is that you may have to take different parts of your knowledge from different teachers. As we all know that every teacher will improve the student but you may not have the luxury of taking all your knowledge from one source. I do not think we do and here are my reasons for saying so. We do not respect those who study when we deem it a trivial matter to argue with those who have studied the religion. Not just for a while but for several years. How can we argue when we do not possess knowledge? For scholars arguing is disliked what about the average person? It is prohibited but does that stop us? We import Imams from abroad not because we are unable to get them here but just for the fact that the masjid committees can control them; because if he says something that they do not like then his visa is "lost." We do not pay teachers a good wage which means many have to do other jobs, if they are truthful, and they may need to use other means to get by. We have masjid committees who are not interesting in spreading knowledge or getting good teachers or anything other than opening ever bigger masjids, which are empty for most of the year. Lets be fair there are some committees who have committed themselves to getting the best teachers and helping spread knowledge but the vast majority of masjid committees are not interested, for whatever reason, in spreading knowledge. Thus preserving Islam for the next generation, the less we do is the least they will. So is it not high time that we began to spread knowledge instead of building great empty buildings, lets build men who can change towns and cities. Many slaves that America imported during the slave trade were Muslim and the reason that Islam did not spread was because outside forces did not allow the transmission of knowledge. So the next children would be Muslim but just in name. This continued until Islam left them and there were people whose ancestors were Muslim and they were not. Why don't we get an English speaking person to summerise the sermon? Or better still have some English speakers to deliever a Friday sermon now and then. In Islamic history people who have gone to lands of predominately non-Muslim population made an effort to speak the language of the people. Allah informs us in the Quran that he sent every Prophet (upon them peace) on the tongue of the people. "We have sent no Messenger save with the tongue of his people." (14:4). Yes, we do have people who cannot access the English but shouldn't we make an effort for everyone to access what we have? How can we be serious about reaching out to people to give them Islam, if they cannot understand the language we speak? Some groups take advantage of this and use it against us. We must be proactive and change the status quo. Sometimes I think that people are not serious about spreading Islam in the Europe and the US. If they were serious then they would speak English and not another language. How can you expect people to come to Islam when all you speak is Urdu? This approach only works for those who understand the language not others. We need to update ourselves with our environment. We are in England and people need Islam more than we know. It is about time that people woke up to these facts because one of the ways that dissidents enter a community is by speaking English. I wonder now if the only way knowledge can be spread if young Muslims open masjids or teaching schools. Is this the only way? To break away? The greatest respect that knowledge is shown, is when someone acts upon it and the greatest disrespect that knowledge is shown when people know and do not care. Know that a person who refuses to learn gets two punishments and the one who is weak in following up on his knowledge gets one. Know that seeking knowledge is lifetime occupation and not something one can do every now and then, all your time must be taken up by seeking, finding, reviewing, sourcing and reading. We hope that this proves useful to those studying and those about to study, this is a serious affair and not something to be taken lightly. If we are complacent in this affair then our children will not be saying what we do and we will have no one to blame but ourselves. Please click here on the Student files label for other student of knowledge resources. This is the complete biography of the Scholar Muhammad Adeeb Al-Kallas may Allah The exalted preserve him. The Erudite scholar, The Learned Teacher, The Abstainer, The Jurist, the Scholar Muhammad Adeeb Al-Kallas ibn Ahmed ibn Al-Ḥajj, Deeb Ad-Damashiqi in origin and known and worked as Al-Kallas. 1921. He was named Muhammad Deeb Al-Kallas. His father Ahmed Al-Kallas was a fighter against the French occupation, he was known as being able to remember the book of Allah mighty and majestic at any time. He was famous for this and the scrupulousness of his work. His mother was our lady Dariya Al-Kallas who was known for her generous nature, excellent character, forbearance and etiquette. She passed away whilst Sheikh Muhammad Adeeb Al-Kallas was a boy; he was taken care of by his sister and his aunt. From a young age he was known his vivaciousness, his intelligence and realising the truth, above all else. His father admitted him into the elementary schools of the scholars, in order to receive beneficial knowledge. These civil schools took fees when accepting students, in their desire to move away from the government schools during the time of French occupation. He studied in Al-Kukummyya school, then to Al-Jawharriyya As-Safarjlniyya School. Where he met the scholar Jalaludeen Muhammad ‘Id As-Safarjalniyya, he at the time, was the absolute edict authority. Then he moved to the Al-Miniyya Madrasa; one of the teachers in there was Sheikh Kamal Al-Baghali; He also studied with Sheikh Muhammad Khair Al-Jalalad. Then he transferred to a Quranic school and the school of Sheikh Abdullah Al-Munjani; then to Al-Irshad school of learning. When he reached the age of ten years old, in the year nineteen thirty one, he had read the forty prophetic narration collection of An-Nawawi and Principles of Jurisprudence in The light of clarification/Nur Al-Idah. Then his father placed him into the tailoring profession; where he used to work until the middle of the night. During this time he was not able to follow Sheikh Muhammad As-Salah Al-Farfori. So when the erudite scholar Muhammad Salih Al-Farfori saw him again, he welcomed him and said, “Your face is like the illuminated moon.” As he knew his acumen, his intelligence and his ability to memorise. He began to attend the circles of the teacher Abdul-Halim Faris; who he read the second part of the book on Arabic grammar/Al-Kitab by Sibawayih. He won first place in an examination and the prize was the book The Qusharian Epistles/Risala Qusharyri from the Erudite Scholar Muhammad Salih Al-Farfour. The book remained with the Sheikh, as it was dear to him, he would read it a third time, and a forth time; as well as Ibn ‘Aqeel and Clear eloquence. He also read with Sheikh Abdurrazzaq Al-Halabi; some concise texts of jurisprudence. Then he read about the science of Islamic belief of the various major works with Sheikh Muhammad Salih Al-Farfur; he studied with him most of the openings of knowledge, sciences, logic, laws of inheritance, Quranic exegesis, prophetic narrations, jurisprudence, metrics of poetry, science of prophetic narrations, spirituality and belief and some of the summaries of Imam Al-‘Amali. The time of the dawn prayer is a time of worship for the Sheikh, then a time to study the commentary of Ibn Abideen and the evening, after the sunset prayer, he would follow up with the lessons. As for the day Sheikh Adeeb would work with his father. The Sheikh memorised the Alifyya of Ibn Malik and specific lessons, he would repeat them in order to memorise them during the day. The Sheikh came to the fore in a major way; it was if he gathered and contained all of what he studied in his chest until he became a great mountain of knowledge walking on the Earth. Despite this he did not cease to assist his father in his work. He was keen to attain his satisfaction by working with him during the day and seeking knowledge during the night. Then Allah wanted him to devote himself to calling to Allah (the Exalted); he was an Imam and lecturer in various Masjids of Damascus. He taught the knowledge that he had received from his teachers. Then the Sheikh adorned his knowledge by studying by reading with the erudite scholar At-Tayyab Muhammad Abu l-Yusr ‘Abideen; the Islamic legal edict issuer of Syria. Who used to say the following about him, “If only I knew you earlier.” He became astonished by his knowledge, intellect, his accuracy in issues of knowledge, his eloquent debates, his humbleness and his abstinence. He studied with the erudite scholar Mahmood Faiz Ad-Diyr’atani some of the sections of the Majestic Quran. Often, the erudite scholar Ad-Diyr’atani praised him for his propensity and aptitude. He would ask him about some issues and would be surprised at the responses of Sheikh Adeeb Al-Kallas. Similarily, he studied with Sheikh Faozi Al-Munir, Sheikh Ahmed Abdulmajid Ad-Dawmani who was a student Sheikh Muhammad Halim Al-Halawani, scholar of Quranic recitations in his time. He also studied the Quran with Sheikh Abu Hassan Al-Khabaz and he was known for his expertise with the book of Allah (Mighty and Majestic). The learned scholar Sheikh Muhammad Salih Al-Farfur gave him a general authorisation in the legal sciences of law, Arabic and others. As did Shiekh At-Tayyab Abu l-Yusr Abideen, the former head legal edict of Syria. He also received authorisation from Sheikh Muhammad Sa’id Al-Burhani in the spiritual path of As-Shadhali. Allah honoured him with an authorisation from Sheikh Ahmed Wahaj As-Saddiqi Al-Pakistani, born in Mecca, in the spiritual path of Naqshabandi, Chisti, Qadiri, Saharwardi and Qalandari. He exchanged authorisations with Sheikh Abdurrazzaq Al-Halabi and Sheikh Muhammad ibn Alawi Al-Makki. The Sheikh excelled in debate, removing doubtful matters, refuting the parties of whims, heretics and innovators. As he is enamoured with doctrine and theology, this is the reason that he was a bearer of proof and evidence; with contentment of the magnanimity of big heart, copious humbleness and profuse abstinence. He had a vast share in the knowledge of inheritance, jurisprudence and the lofty knowledges. Perhaps the most beloved knowledge to him was jurisprudence and doctrine. Sheikh Abu l-Yusr ‘Abideen described him as resemblance to The Distinguisher Umar Ibn Al-Khattab (may Allah be pleased with him), he used to enjoy, from his nature, to rebuke falsehood and he did not fear in Allah the reprisal. He taught in Al-Fath institute since its inception, Al-Mayniyya school, some secondary schools like Dar At-Taqafa and As-Shariq. He would not issue a legal edict except by the reliable opinion of the school; if the matter was severely constricted he would go to the teachers of the other schools and their reliable positions, if he knew that the position was with them. The Sheikh would begin his response to the entire question by hoping to gain reward from it. He did not beckon to decency or to goodness through explanation except that it was answered. He did not beckon to benevolence without seeking to complete it. His students are those who read to him or those present in his lessons. They are enumerable and from all the Islamic lands. Those that graduated from the Islamic Al-Fath institute. The Sheikh authorised those students who has graduated from Al-Fath institute, or those continually in his lessons, those he saw the keenness of seeking knowledge, he gave them all with an authorisation from his teachers by Al-Ma’qula wa Al-Manqul. Advising them to commit to one of the four school of jurisprudence: Hanafi, Shaf’i, Maliki and the proven chains of Imam Ahmed ibn Hanbal. He also supplicated for them by heart. Whoever read with the Sheikh loved him, whoever asked him once believed him, whoever entered his house witnessed his humbleness, whoever heard his words knew his justice and whoever looked at him saw his light and awe. Sheikh held a position of delivering the Friday sermon in the masjid “Taht Al-Qanatir” located close to the book shop “’Anbir,” in the masjid Al-Qatt, near the grand Ummayyad masjid and similarly in the masjid of our lady Ruqiyyah (may Allah be pleased with her) during the occupation. Then in the masjid Tankaz. Likewise, he used to work as a Friday speaker and Imam in Al-Khair in the province of Al-Muhajaroon, he taught how to give legal edicts. Finally, he held a similar position in the masjid Al-Hammd on the hill of Qaiswan Al-Mutala in Damascus. He used to teach in Al-Fath institute in the department of specialisation in the branch of masculine and feminine. He taught secondary schools of Dar At-Taqafa, As-Sharq and Al-Mayaniya school in the chapter of Al-Jabayya. The Sheikh sought focus in teaching and calling to Allah, in many Arab and non Arab countries, there is no shame in stating its importance. He would remind his students, not to forget the virtue between them. He is generous with all that is in his possession. He is humble towards the students of knowledge. He dislikes oppression and apportioning the oppressed. Whoever borrowed money from the Sheikh; he did not ask for his money even if they did not give it. He did not like to exclude good to himself, he preferred others over himself. He shows great manners towards his teachers and the possessors of knowledge. He loved his close family much and assisted them. He preferred the lesson and seeking knowledge over rest and the like. He did not like to be known; he liked humbleness and disliked arrogance. He loved return them to righteousness and hoped that they would become servants of Allah. He looked at things and what is behind them, without being misled by position or wealth. He mentioned the known people with goodness, always. He supported them and called them to good. He loved to assist the needs of people and to intercede for them. Good to his friends and preferred them over himself. He comprehended every word said and responded quickly with the truth. If the poor asked him, he gave what was in his hand or said I will give you what you like, do you see anything that you want then take it. He loved clarity and eloquence. What he disliked was hinting to people and imposing himself on them. He loved to go to major and minor pilgrimage. He would love to spend a whole month there; the period of pilgrimage was when he would worship and draw closer to Allah. He loved the righty guided khalifs after the Messenger of Allah (peace and blessings of Allah be upon him). He said the doctrine of the Muslim is in them; he ordered them in virtue as they; he loved, honoured and praised the Prophetic household; he defended the Companions and did not mention them in anything but good. He said, “This is a just Muslim of the Prophetic household who loves all the companions and does not harm in the slightest." He loved the spiritual leaders of the righteous servants of Allah and the men of Allah who are unknown except by their steadfastness and pious actions. He had confidence in what Allah has and did not turn towards anything else. On the 21st October 2009 the Sheikh passed onto the mercy of Allah. May Allah (the Almighty) bless the Sheikh in his grave and make it a restful place where he experiences the coolness of the breeze of Paradise until an appointed time. It is with great sadness that we say that we were unable to meet the Sheikh so if you get a chance to meet great scholars do not delay and go ahead. We do not know that will happen in the future and our time on Earth is limited. "Amongst the people are those who purchase foolish speech." "Amongst the people are those who purchase foolish speech." It means that the people purchase useless speech. Nadar ibn Al-Harith would go to Persia on business and purchase from there speech and bring it back to Mecca. He would then say, "Muhammad speaks you with words incomplete and I speak to you with complete words." "Ibn Abbas (may Allah be pleased with him) said, "This verse was sent about a man who purchased a singing female slave." Singing encompasses almost all the pop song writing industry at this time. Popular music is all about violence, aggression and how to attract the opposite gender. There is very little music that has any redemming qualities to it. You either have to go back to a different time or look at other forms of singing. One other point about modern music is that most of the music that is elevated into the manistream is music made by athiest and those singing about sins. This means that they sometimes sing about beating people up and other times they say things that could be classed as statements of disbelief. What do we do? We sing along with it without realising the implications of some statements. This is another reason why we should give these types of music a wide berth. If you look at many newspapers the stories that they carry are the worst stories of murder, degredation and stories that demean people. The tabloid newspaper some of the most bizarre news headlines and stories that someone may ever read! But somehow they manage to come up with more everyday! Are the newspaper editors look for stories of goodness or are they looking for stories about death, murder and depravity? The answer is clear and you do not need to look! Most of the news reports in most of the media are about foolish, useless speech and the highest prices are paid for them. They even vie for the for the front page news headlines all in the desire for money. The place of the blessed practice/Sunna of the Prophet Muhammad (peace and blessings of Allah be upon him) is something that people are now debating, without truly understanding the elevated station of the Prophetic tradition. "They wish to separate between Allah and his Messenger." "There are two opinions: 1) The Jews believed in Musa, Uzar, the Torah and rejected Isa, the Gospel, Muhammad and the Quran. 2) It was said to Ibn Abbas that the Jews and Christians believe in the Torah and Musa but reject the gospel and Isa. Whilst the Christians believe in the Gospel and Jesus then reject Muhammad and the Quran." Qatada said, "They wish to fragment the belief in God and the belief of the Messenger; faith is not correct like this..."
Imam Nasafi (may Allah show him mercy) states in "Tasfir Mudarik Al-Tanzil wa Haqaiq Al-Tawil" that: "On the final part (they mean), "Meaning a religion between faith and disbelief, yet there is no medium between these. "Those are disbelievers." (the Women 4:150) They are total disbelievers because disbelieving in one (prophet or message) is disbelief in all of them." "This passage was revealed concerning the Jews and Christians. The Jews believe in Musa and the Torah but reject in Isa/Jesus and the gospel. Whilst the Christians believe in Isa and the gospel but reject Musa, the Torah, Muhammad and the Quran; both of them reject Muhammad and the Quran. So Allah explained that belief is not is partial and believing in part of the religion is taking this way." (Disbelieving in part means disbelief in it all). "The text of the Almighty states that those who distinguish between Allah and his Messenger are disbelievers; because Allah, the Almighty, made it an obligation upon people to worship him according to the explanation on the tongue of the Messenger. If they renounce the Messenger, rejecting their law or do not except it from them then they have rejected that which they their obedience committed them to accept. So they reject their Maker, the Almighty, rejecting the Maker is disbelief, so that causes them to leave the commitment of obedience and worship; likewise separating between his Messenger in matters of faith is disbelief." So when someone rejects the Messenger (peace and blessing of Allah be upon him) they reject all that he came with. This is one of the definitions of disbelief; when someone rejects anything that the Prophet (peace and blessings of Allah be upon him) came with; with the condition that it is definitive/Qat'i. In other words, proved beyond a shadow of a doubt, to its authenticity. Now, those people who reject the Messenger (peace and blessings of Allah be upon him) are not just rejected him but also rejecting whatever he came with. This includes his sayings, actions or silent approval (this is the definition of hadith) including those that came through mass transmission; by which we know that there could not be such a lie fabricated by so many people and all their stories be the same. Just to confirm, rejecting the Messenger (peace and blessings of Allah be upon him) means that someone is rejecting Allah (mighty and majestic). Even if someone believes in God and do not believe in a Messenger (of their time) then they are still disbelievers. The Messenger of our time is Muhammad (peace and blessings of Allah be upon him). Their ways may have changed but the refrain remains the same! Someone told me about how he was having a debate with someone online about the subject of Islam reform. He was explaining to a pro-reform (deform) guy that some of his statements constituted to disbelief. From which he responded by saying that he was a Christian and not a Muslim! If he was not Muslim why did he care then? The answer is simple this is part of the strength of the Muslims is sourced from; the Prophetic narrations/hadith are a great source of blessing, knowledge and guidance for us. For us to throw all that out would be another disastrous move. Like the abandoning of the four schools of jurisprudence (in some places not all) in many places it has made us stumble from misunderstanding to misunderstanding. Fiqh means to understand and without fiqh we cannot understand the legacy of the Prophetic tradition. Modernists of this ilk talk about Islam without knowledge of jurisprudence, Arabic, principles of jurisprudence, Arabic rhetoric or any other kind of Islamic knowledge. All they know is how to speak English and read translations or even worse that they know the Arabic Language and explain everything according to their understanding; which is mostly (99.999%) erroneous. Just because someone is an Arabic speaker does not mean that they can draw ruling from the Quran directly. As we would not dream of speaking about brain surgery after reading a book; then going into a operating theatre to perform an operation! Be serious, do you really expect me to listen to someone who has a "feeling" and goes with that "feeling" to form a ruling. No way! We need to think clearly, when they want to throw out the hadith they accuse God of not sending someone to explain the Quran; and that they know better than the Prophet (peace and blessings of Allah be upon him)! And even worse than that they know better than God! This on its own is insanity and it does not matter how many times that we explain to them, they do not refrain or reflect. It's only arrogance that causes people not to change their minds. This should be enough for any rational person but those who understand Islam emotionally will always misunderstand it; because Islam is not understood in the way that we understand it; it is taught in the way the Prophet (peace and blessings of Allah be upon him) was taught by God! So this is God's way taught through the prism of Prophethood. This is not an easy matter; disbelief is not an easy matter. The whole point of the passage is that how can progressive/modernists groups only accept the Quran yet reject the one to whom the Quran was revealed to, the one who the Quran was sent to, the one that was the way station between God and the world; then they reject what he had to say!! Anyone who does this is not just lost but is astray. What is the point of sending a book without sending someone to explain it? Every single manufacturer of a new product have product launches, where they have people who know the product well explain it to others. So if this is how people in the world act; where do you think that they learnt this from?? The whole point, the whole focus, of the religion is to rectify the human being to the Prophetic example. If you throw out the Prophetic example then what are you left with? How can you say that you are trying to be a good person with it, on whose example are you following? Your own? Most people think they are good but in reality they are not; the best way is to compare yourself with the Prophetic example. Then and only then will you find yourself trying to aspire to greater acts and excellent moral conduct. You cannot do this according to your own mind which could be wrong or could be right. If you meet someone like this, know that their logic is flawed but it can be hard to break down their arguments without knowledge. So my advice is avoid talking about it but if they are adamant then do not remain in their company. Why, because they want to take your belief from the Messenger and be like them, true disbelievers. Know that is a process of trying to take Muslims out of Islam by attacking each process one by one thus stripping it of anything of value, is an old ploy. It can be traced about the occupation of Muslim lands by foreign forces; this process started by attacking the four schools of law, then the schools of belief/theology and continues today with modernist/progressive groups attacking hadith. We just have to hold strong, don't lend them our ears, refute if we can and pay no attention their nonsense. Is not this passage enough to know that the Prophet's (peace and blessings of Allah be upon him) have a special station in Islamic law? "No, By your Lord! Never shall they become believers, unless they make you the judge in the disputes that arise between them, then find no discomfort in their hearts against what you have decided, and surrender to it in total submission." Is this not about making the Prophet (peace and blessings of Allah be upon him) a judge between our affairs and how else can we do this without following the hadiths? The truth is clear. Was the Prophet Muhammad (peace and blessings of Allah be upon him) sent to all nations? 7. Do not wait for him to make an error. (Swearing is something many overlook sometimes they do not swear in one language but they may swear in another language. It is bad for the person saying the swearword as it is for the listener. The great character of the Prophet (peace and blessings of Allah be upon him) was that he never swore, ever. So try to remember that next time you get an urge to vent your anger verbally. Try to use other words that do not insult or offend, it does take time to remove these from your system so keep trying. Why do we avoid backbiting? To remove this from yourself you need to write down who and what you wrote about then repent over it before sleeping. Then pray the prayer of repentance (two rakats/units). Then repeat this everyday for forty days until you can mange ten days without it. If you go back to it then repeat this procedure. "Imam Nawawi says:Having summarily mentioned that talebearing (namima) is unlawful, with the evidence for this and a description of its nature, we now want to add a fuller explanation of it. In fact, talebearing is not limited to that, but rather consists of revealing anything whose disclosure is resented, whether resented by the person who originally said it, the person to whom it is disclosed, or by a third party. It makes no difference whether the disclosure is in word, writing, a sign, nodding, or other; whether it concerns word or deed; or whether it concerns something bad or otherwise. The reality of talebearing lies in divulging a secret, in revealing something confidential whose disclosure is resented. Some athiests once questioned Imam Abu Hanifa (may Allah be pleased with him) what proof he had of the existance of the creator (mighty and majestic), and they said he had to convince them or suffer. He told them, "Leave me alone! I must think about a strange event that has been reported to me. I have been told that there is a ship at sea, heavily laden with various kinds of merchandise; and although there is no one on board to steer and guard her, it comes and goes by herself, ploughing through enormous waves and going where she pleases." They told him, "No intelligent man would say such a thing." He replied, "Wretches! And yet you say that all these existant beings, in the higher and lower worlds, and every intricately precise thing they contain, have no maker?" At this they were dumbfounded, and, returning to the truth, they entered Islam at his hands.